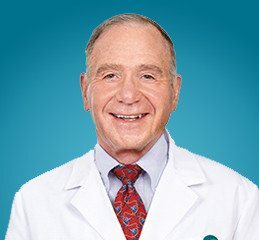 Dr. Ronald Hartman founded Southern California Eye Physicians & Associates in 1964, known at that time as Lakewood Eye Physicians and Surgeons. Ronald Hartman, M.D. is a full clinical professor at University of California, Irvine and considered one of the most experienced ophthalmologists practicing in the United States. Other studies have included many different corporate and independent sponsors involving diabetes, glaucoma, contact lenses, medications, dry eyes, and investigational protocols and devices. Presentations over the past 40 years have ranged from surgical methodology to clinical management. Dr. Hartman has spoken coast to coast, from the University of California, Irvine to The New York Academy of Medicine.